Find HQ: The Forest is the latest in a series of Room Escape games from HoodaMath. You are a member of a secret club. The headquarters is somewhere in the forest. Look around and find clues to help you find HQ. Find HQ: The Forest Walkthrough. Go back to the beginning and throw it at the tree. take the last of the planks. Go left and place the 3 planks you collected. Don’t go across yet. 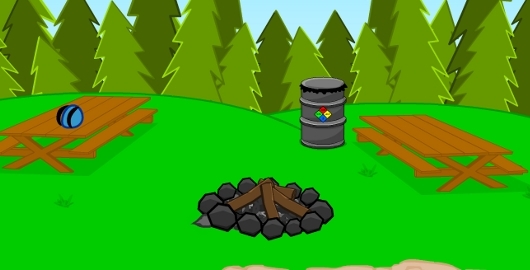 Notice the key in the campfire. You have to put the fire out. Go to where you took the plank from the sign and fish. LOL. The fish got away but he left you another gem. what is the four letter code for the “ranger station”? Posted on Wednesday, April 3rd, 2013. Follow any responses through the RSS 2.0 feed.